Alessandro Algardi (1598-1654) started out as a pupil of the Carracci before realizing his greater talent was in sculpture. He moved to Rome, where he became a great rival of Bernini. At first Algardi had a difficult time finding work, but with the papacy of Innocent X commissions started to roll in. His restrained, classicist style made a sharp contrast to the more expressive Bernini, and he soon established himself as one of the greatest of Baroque sculptors. Works can be seen in St. Peter's, the Capitoline Museums and elsewhere. In Rome he came to know Velazquez, and as a result some of his work reached Spain. 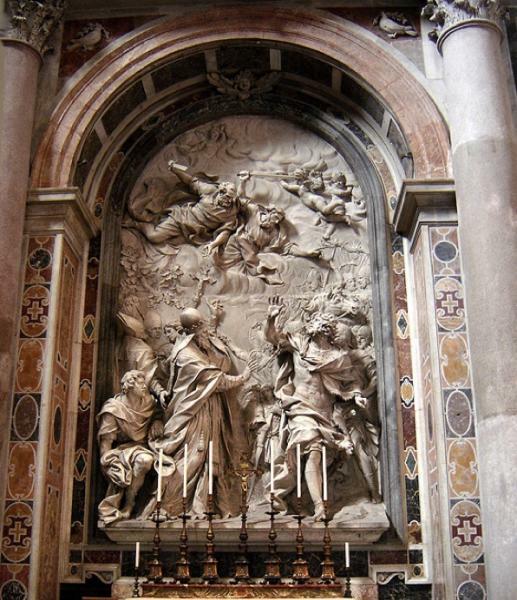 Algarve left very little in his home town, but what he did leave, the Beheading of St Paul in San Paolo Maggiore is one of his finest works. Also see the Museo Civico Medievale.